Is the lack of information impacting your ability to care for and fight disease on the otherwise resilient hickory tree? 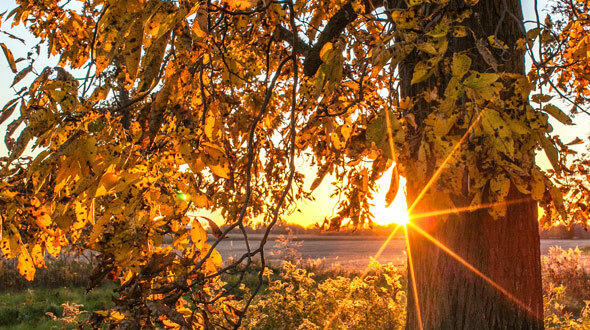 Hickory trees are among the most durable trees native to the United States. Any of the hickory tree species should be considered for your mid-sized or large landscape for their beauty and ease of care. toddsmariettatreeservices.com gathered hickory tree facts, diseases, care tips, and answers some frequently asked questions. Hickory trees are a member of the Carya genus. There are about twenty species of hickory that comprise the genus, of which, 12 species are native to the United States. Trees in the Carya genus are blooming and bearing tree species. Hickory trees are tough and durable, among the most long-lived, and are a frequent favorite in Southern landscaping. Hickory Anthracnose/Leaf Spot – The symptoms include large reddish spots on leaf tops and brown spots underneath. When an infection is severe, early defoliation may occur. Many of the fungi that cause this disease will survive the winter on fallen infected leaves. When these leaves fall, they should be carefully disposed of. Verticillium Wilt – Symptoms of this infection include entire branches or a whole section of a tree dying off. The foliage on affected parts of the tree will wilt and turn brown. Help your tree remain healthy by pruning out infected branches, watering during dry weather, and seasonal fertilization. • In one gallon of water, mix one tablespoon of baking soda with a one-half teaspoon of liquid soap (non-detergent). • Spray liberally on affected foliage. 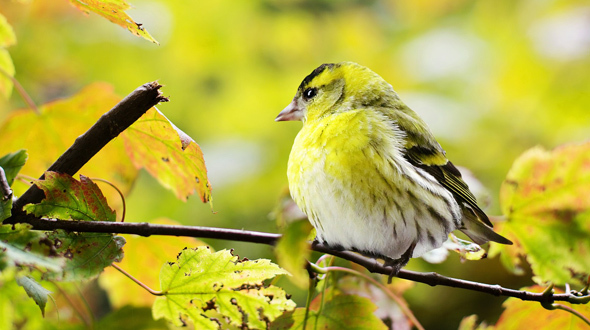 If this infection occurs late in the season, control will not be required. Make sure that fallen leaves are collected and disposed of. Witches Broom – This disease will typically follow a leaf spot disease. Symptoms include yellow spots on leaf surfaces with white spots on the underneath side. Defoliation may occur from severe infections, and when the disease successfully enters the stem, a witches broom will form. Leaves on the witches broom stems will be small, yellowish, and fall prematurely. When witches brooms form, prune them away, and call a tree service to evaluate the overall health of the tree. Cankers – Cankers occur when a tree’s bark is wounded, and an opportunistic fungus finds its way into the wound. As the fungus grows and multiplies, it stops the tree from compartmentalizing the wound and can eventually spread throughout the tree. Cankers that appear on twigs and branches should be pruned out, cutting all the way back to the trunk when the infection is severe. 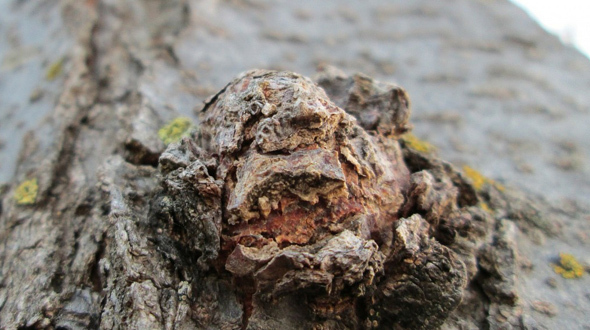 Cankers that form on the trunk of a tree should be inspected by a tree service to determine the best course of action. To prevent cankers from forming, keep your trees healthy by watering them when the weather is dry, seasonally fertilizing them, and pruning them during their dormancy. To be best prepared for preventing potential danger, read signs and symptoms of a troubled tree. • Watering when the weather is dry. • Pruning during the dormant season. • Treating fungi when affected. • Scheduling an annual inspection. Question: Do all hickory trees produce nuts? Answer: Yes. Hickory trees comprise the genus Carya (Ancient Greek for “nut”). Question: Are hickory nuts edible for humans? Answer: Yes. However, the flavor will vary from species to species. 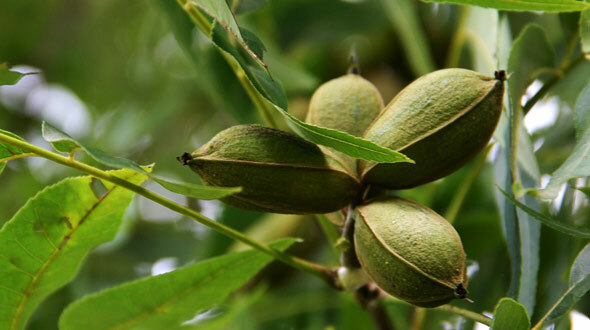 Question: Are Hickory trees related to pecan trees? Answer: Yes. In fact, the two are so closely related, they grow within the same hardiness zone and require the same care. Question: How long do hickory trees live? Answer: Hickory trees are known to live beyond 500 years. Question: What is hickory wood good for? Answer: Being one of the strongest and hardest woods native to the United States, hickory is frequently used where shock-resistance and strength are required, such as wood flooring. Hickory is also popular for smoking cured meats and cooking barbecue. Hickory trees from the Carya genus are easy to care for, and many of the species are native to the United States. These easy trees are among landscapers favorites for their resilience and ease of care. In this article, you discovered hickory tree facts, diseases, care tips, and uncovered answers to frequently asked questions. If the hickory tree isn’t a part of your landscape, you are missing out on a slow growing, beautifully shaped shade or screen tree. They are easy to plant and require minimal care efforts. That concerning tree in your yard may be diseased and risky to leave unaddressed. However, inaction is what often leads to severe and avoidable damage. 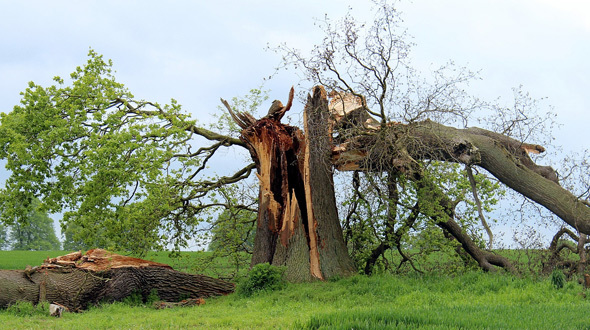 While diseased trees can pose a threat to your landscape, property, and surrounding people, identifying and treating such cases properly can mitigate and prevent disastrous tree fall situations. 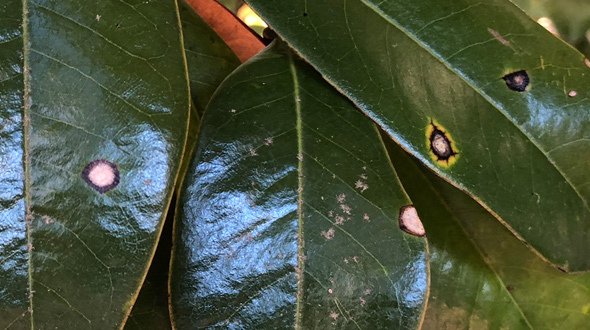 toddsmariettatreeservices.com names five common tree diseases in Marietta GA, how to identify, treat, and when to have the tree evaluated by a professional. Fire blight is a disease that flourishes in humid, rainy weather when the average temperature rises to 60 degrees Fahrenheit and above. • Infected flowers turn black and die. • Twigs and stems turn black and curl over. • Branches appear scorched as their leaves turn black and shrivel up. • Cankers will appear on branches and the trunk. Transmission – Fire blight is easily transmitted to other trees, shrubs, and plants by birds, animals, splashing water, and unsterile gardening tools. • Apply a copper fungicide before the flowering season. • Extensive pruning of all affected areas. • Take pest control measures to eliminate ants and other insects which may transmit the disease. • Sanitize gardening equipment with a water and bleach solution after use on infected landscapes. 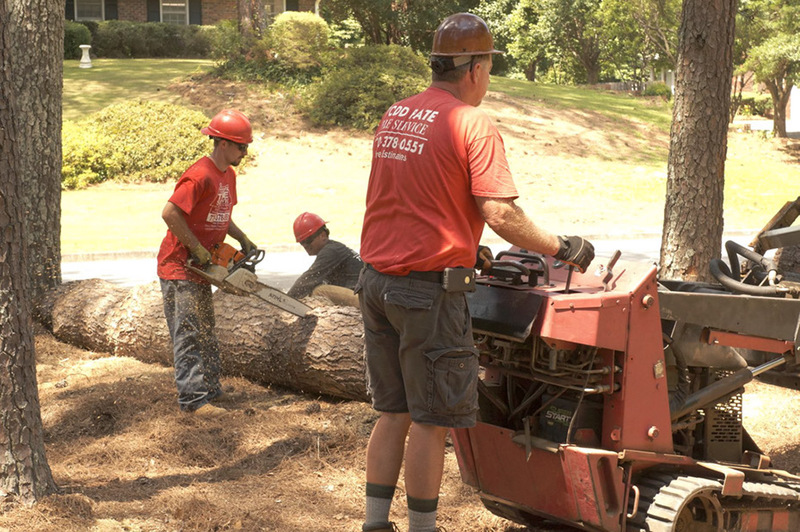 Call a Professional – When more than 25% of a tree must be removed, seek the advice of a professional tree service or arborist. It may be necessary to remove the tree altogether. Likewise, when multiple trees, shrubs, and plants are infected, a professional can help you devise a plan to halt the disease. Much like fire blight, powdery mildew thrives in the springtime when temperatures range from 60 to 80 degrees Fahrenheit. There are several fungi which can produce powdery mildew. Symptoms – As the name suggests, powdery mildew can appear on any part of its host and resembles white or slightly off-white mildew. Numerous spores begin to emerge as the fungi mature. Transmission – Insects such as aphids are the principal means of transmission. However, when spores are released, splashing water or wind may spread the fungi. • Apply non-chemical organic fungicides such as milk, bicarbonates, and oil. An effective solution is diluted at 1 part fungicide to 10 parts water. This fungicidal mix produces outstanding results when used for preventative measures or sprayed directly on the infected plant. • Applying a neem oil solution disrupts the fungus’ metabolism – preventing spore production. 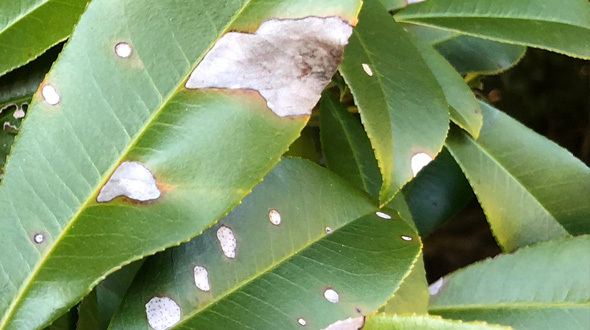 Call a Professional – When topical treatment can’t stop powdery mildew, or when it eliminates powdery mildew, but your tree’s health continues to decline, there may be another pathogen or insect at work. Request an inspection and evaluation from a tree care professional. Anthracnose thrives in the springtime with prolonged periods of rainfall and when temperatures are consistently mild. • Dark colored pimple-like fruiting structures (acervuli) on the underside of leaves. 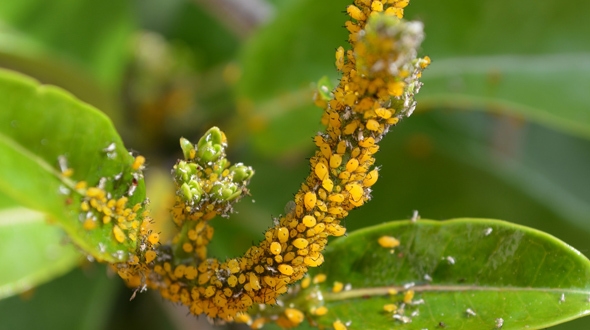 Transmission – Similar to fire blight, anthracnose is easily transmitted to other trees, shrubs, and plants by wildlife, splashing water, rain, and unsterile gardening tools. Anthracnose fungi (there are several fungi which can cause anthracnose) can survive the winter months in fallen leaves, or in cankers formed in the bark of branches or the trunk. • Extensive pruning of all affected parts. 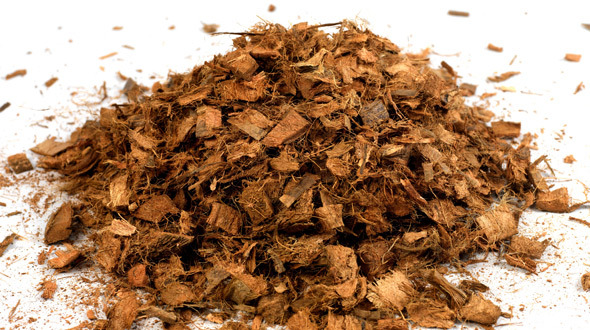 • Utilize a fire pit or bonfire to destroy affected clippings and foliage. Read the following article for more on How to Identify, Treat, and Prevent Anthracnose. Call a Professional – When 25% or more of a tree must be removed, seek the advice and assistance of an arborist or reputable tree service. It may be necessary to remove the tree altogether. Without treating anthracnose, you will be leaving your tree susceptible to other infections and infestations. Changes in landscaping, soil compaction, soil composition, or persistent rains may cause root rot. Symptoms – Severe and fast branch die-back, premature color change of the leaves, widespread leaf spots, sap coming from the bark, and mushrooms around the root flare may all indicate root rot. Transmission – Root rot is typically the result of poor drainage or changes in the soil composition and texture. This either kills the roots or allows access to pathogens, which weakens and eventually kills them. 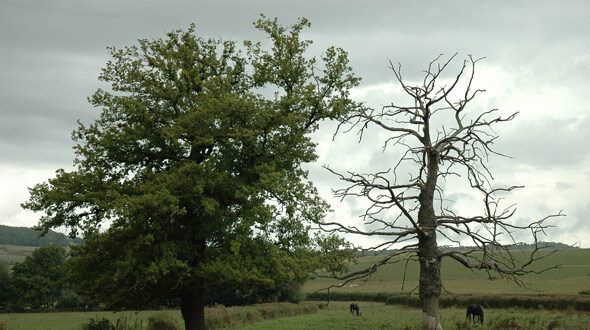 Treatment – If your tree is diagnosed with root rot, the recommended treatment is to have the tree removed. 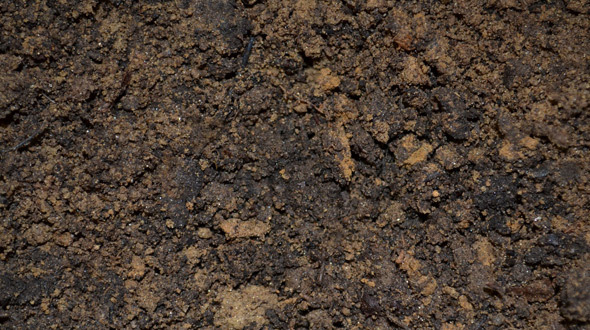 To prevent further cases of root rot, ensure that the soil in your landscape is well-drained, and that roots are protected from soil compaction. 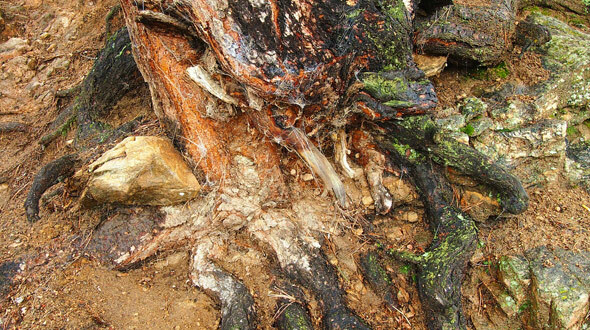 Call a Professional – If you suspect that a tree is suffering and dying from root rot, call a professional to have the tree evaluated immediately. Depending on the size of the tree and the amount of damage to the roots, the tree may fall at any time. 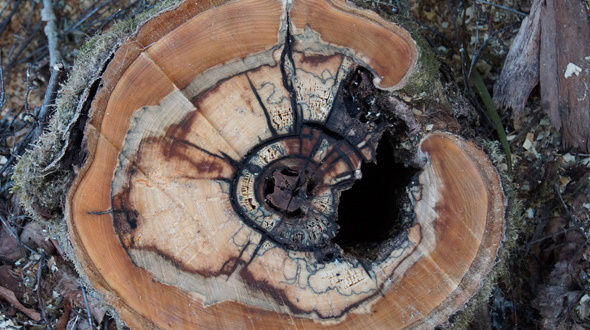 When a fungal disease causes the softening and decay of the wood found at the center of a tree’s trunk and branches, this is known as heart rot. The softening of the heartwood leaves a tree vulnerable to the pressure of its own weight and prone to collapse. Symptoms – A reliable indicator that heart rot is present within a tree is the presence of fungus conks or mushrooms growing from the tree’s trunk or branches. Transmission – Heart rot is able to attack the heartwood of a tree through damaged bark or improper pruning. • Maintaining your trees healthy and vigorous. • Using proper pruning techniques. • Having the trees inspected by an arborist annually. • Providing post-storm care and maintenance. 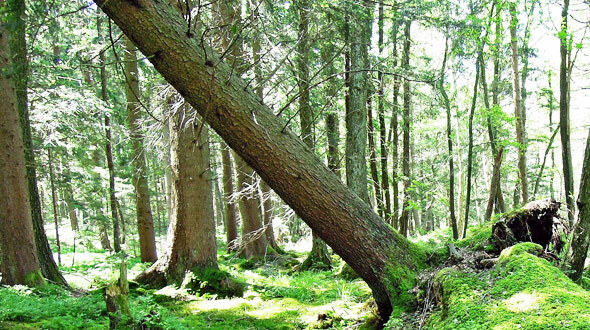 Heart rot affects trees across the world. When trees are healthy, they are able to isolate and stop this disease through a process called compartmentalization. Call a Professional – If you suspect that your tree is suffering from heart rot, do not hesitate to call a professional tree service to evaluate the tree and recommend a course of action. Act promptly, as trees that suffer from this disease can cause catastrophic damages when they collapse unexpectedly. Because diseased trees are susceptible to fall at any time, it is imperative to be educated and swift in taking action to treat these disease cases. Discovering how to identify and treat the diseases that are common in Marietta Georgia is a great start. Being informed and giving more attention to your trees may seem like extra effort, but sleeping well at night knowing your property and people are safe is worth the energy. You may be unknowingly spreading disease all over your landscape. 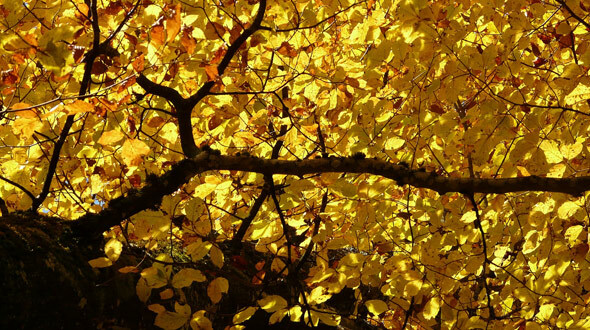 Those yellow, brown, or black spots on your tree may be anthracnose. 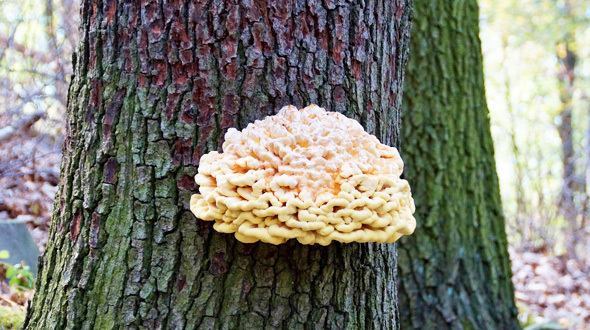 Avoid hosing down your tree to try and clean it, you could be spreading this fungi everywhere! Over time and repeated attacks, anthracnose can weaken your tree’s health and provide an opportunity for other disease and infestation. Once identified, tree anthracnose should be treated immediately. 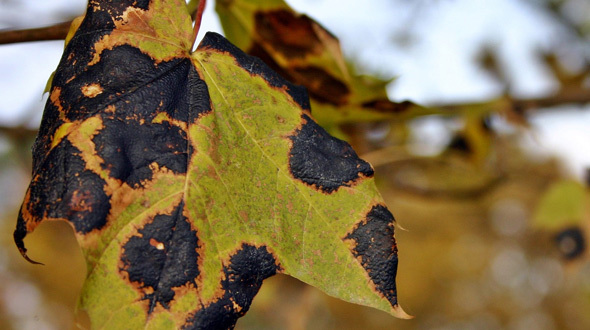 toddsmariettatreeservices.com gathered this information to help you identify, treat, prevent anthracnose, and uncover the fungi responsible for causing it. What Is the Cause of Anthracnose? Apiognomonia Errabunda – Attacks tilia, Quercus, beech, oak, lindens, and Fagus (ficus) trees. Apiognomonia Veneta – Attacks london planes and sycamores. Colletotrichum Gloeosporioides – Attacks ash, tulip, and cacao or cocoa trees. Discula Fraxinea – Attacks maple, ash, and fringetree. Glomerella Fungi Species – Attacks banana, mango, papaya, and lemons. 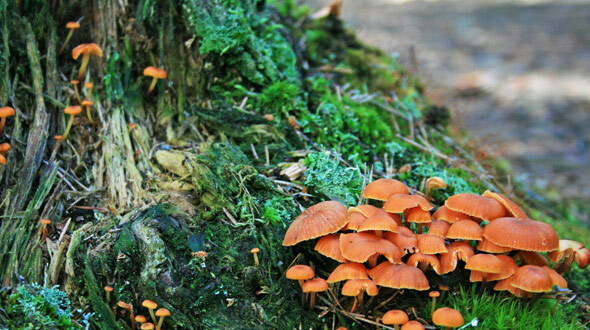 Gnomonia Fungi Species – Attacks oak, maple, sycamore, walnut, ash, and dogwood trees. Marssonina Fungi Species – Attacks aspen, poplars, and cottonwood trees. Stegophora ulmea – Attacks elm trees. The above-mentioned fungi overwinter in either the leaves that have fallen to the ground, or in cankers on the tree’s bark. In springtime, the fungi’s reproduction process is favored by cool temperatures and prolonged periods of rain. As the fungi generate spores, splashing rain, overhead watering, and/or the wind disperses them to leaf buds, shoots, or young leaves. The fungi then colonize the tissue of the new host and begin producing spores to be carried off in the same manner. As long as temperatures remain mild and moist conditions persist, the fungi will continue to colonize leaf tissue, produce spores, and reinfect the same leaves or spread to others. Without intervention, this process can repeat itself throughout spring and into early summer. Anthracnose and other fungal diseases that attack trees need water (moisture) to grow, propagate, and colonize new hosts. These diseases are less common in warmer regions that have less rainfall. What Are the Symptoms of Anthracnose? 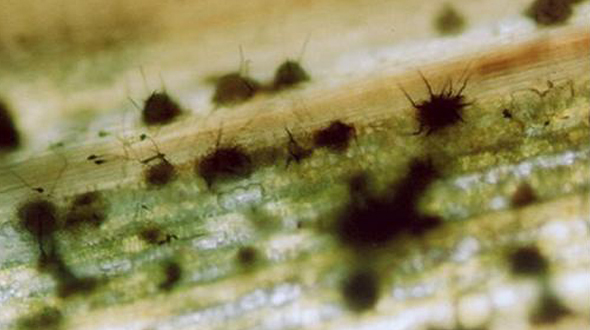 A common symptom among all of the anthracnose diseases is the presence of acervuli. 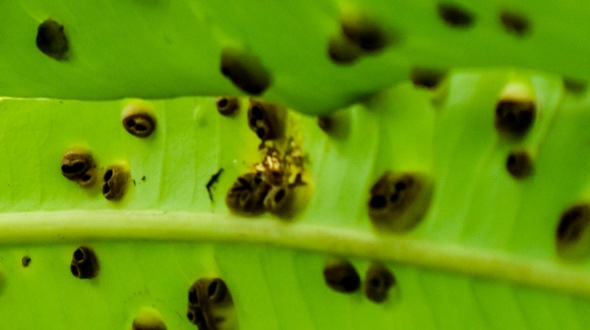 Use a magnifying glass to examine the underside of infected leaves. You are looking for dark colored pimple-like fruiting structures (acervuli). In infected trees, these structures may also be found peppered along dead twigs. How Do You Treat Anthracnose? While damages resulting from anthracnose infections are generally inconsequential to the overall health of a tree, repeated attacks from the disease year after year can weaken a tree’s defenses enough to leave it susceptible to other diseases and insect infestations. 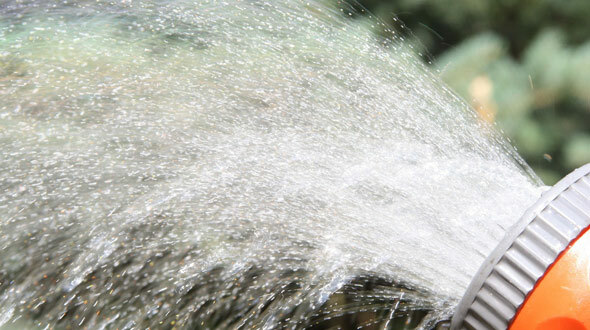 Don’t Spray the Foliage – Anthracnose fungi depend on splashing water and wind to carry them from one host to another. If you try to wash off the foliage, you are doing more to help the fungi live than to save your tree. Fallen Leaves – Collect and destroy fallen leaves. These dead leaves (if left on the ground) provide an optimal location for fungi to overwinter. 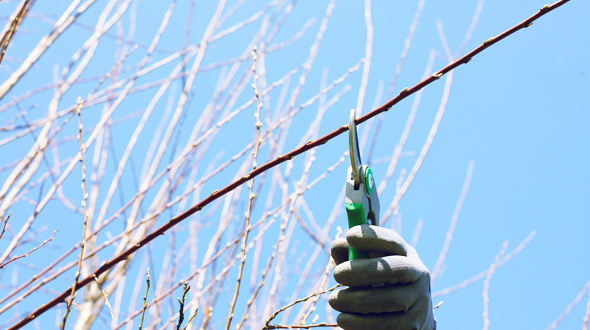 Pruning – For the fungi and acervuli found in blighted twigs, these areas should be pruned back and destroyed. Crown thinning will allow more air and light to reach the inner branches and foliage, which in turn will help fight against the fungi. Depending on the extent of the infection, excessive pruning may be necessary. If this is the case, contact a professional tree service to evaluate the situation. Tip: To destroy the pruned portion of the tree and/or leaves, light up the fire pit or have a bonfire. 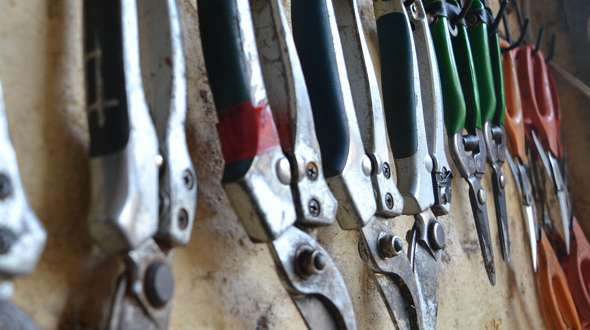 After pruning any diseased plant, shrub, or tree, make certain that your tools are sanitized before storing them or using them again. Use a 1 part bleach to 6 parts water solution to wash your tools. Fungicides – In areas or with trees that have a history of anthracnose infections, fungicides can be used to further curtail its spreading. Knowing the species of your tree will help you select the right fungicide. Many of them are labeled for use against specific fungi, and the fungi which cause anthracnose are typically host species specific. How Can Anthracnose Be Prevented? 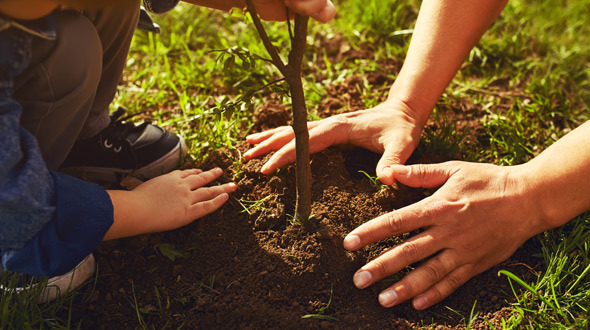 By providing plants and trees with well drained and enriched soil, nutrient-rich fertilizer, sufficient water, and annual pruning, you will help them maintain a vigorous defense system and enable them to resist diseases more handily. 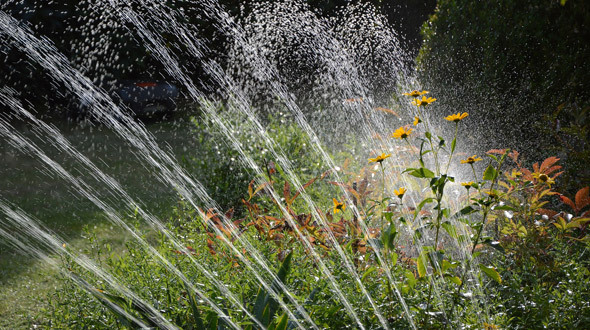 If you use a sprinkler or overhead watering system, consider modifying it or replacing it with a drip system. 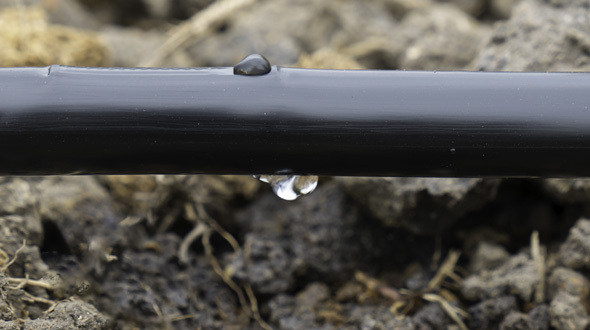 Drip systems don’t create the splashing effect necessary to carry fungus spores from host to host. Finally, take action against other fungal invaders and pests to prevent the tree’s health from weakening. There is more to preventing tree diseases than just hosing down your trees. To stop the spread of anthracnose and prevent its return, it takes an understanding of what it is and how it spreads from host to host. In this article, you discovered what causes anthracnose, how to correctly identify it by common characteristics, how to treat it, and the steps to prevent it. Anthracnose, through repeated attacks, will eventually weaken your tree and allow other more invasive diseases and tree pests to attack. Treatment and prevention measures should begin as soon as this disease is positively identified. Controlling nasty tree pests is easy and you can do it without toxic chemicals. For more than two centuries, variations of homemade insecticidal soaps have been used to control invasive tree and garden insects. Homemade insecticidal soaps are easy to use and safer than conventional or industrial pesticides. Using them will save you from unnecessary exposure to the components of store-bought pesticides. In this article, the professionals at toddsmariettatreeservices.com explain how to make and apply homemade insecticidal soaps, how they work, and which insects to target. The ingredients to make an insecticidal soap can typically be found in your kitchen or pantry and only require the use of a tablespoon, a measuring cup, a gallon jug, and a spray bottle. This recipe yields 1/2 gallon of solution. Step 1 – Pour 1/2 cup of the vegetable oil In the measuring cup, and mix 3 Tbsp of the dishwashing soap with it. Mix well. Step 2 – Pour the oil and dishwashing soap into a 1-gallon jug, then fill the jug with water to approximately the halfway mark. Step 3 – Shake well and fill your spray bottle. Keep the remainder (left in the jug) in a cool, dry place. It will get used. That’s it. You’ve made a basic insecticidal soap. Read on to learn how to apply it and what variations are needed for different insects. Using these soaps is as easy as making them. Follow these steps to apply your homemade insecticide effectively. Step 1 – Locate the infested or troubled area of your tree. 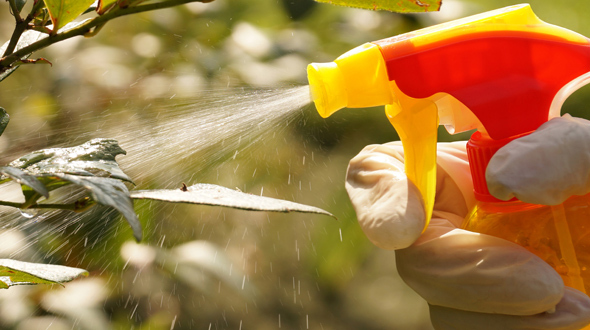 Step 2 – In the early morning or late afternoon, spray the solution directly on the insects and surrounding foliage. Step 3 – Repeat Step 2 after one week. And again one week later. 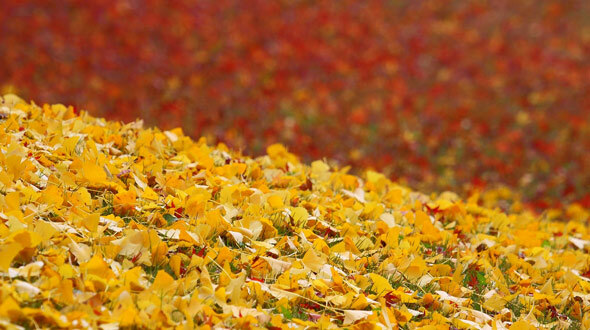 Throughout this process, keep an eye on the foliage that is being treated. Some tree and plant species are more sensitive than others and may slightly wilt or change color. If this is the case, add more water to the solution to dilute it. 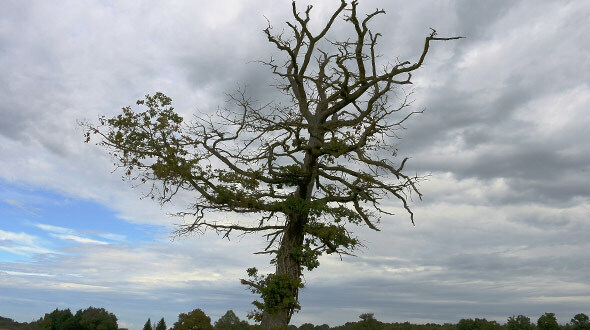 If the infestation persists after three weeks of treatment, call on a professional tree service to evaluate the severity of the infestation and what further steps should be taken to halt it. Tree Bugs – Which Ones Are Affected? The solution is also effective against Boxelder bugs. 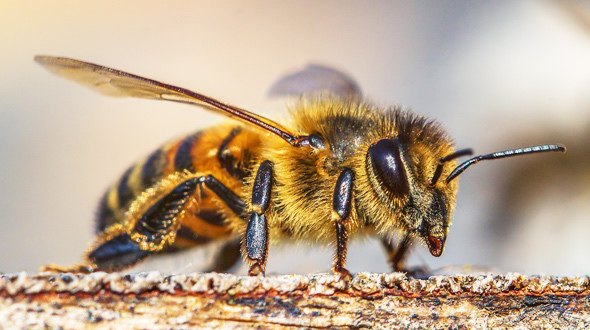 Control of the above insects typically results from either a disruption of their cell membranes or the removal of the waxes that cover the insect, resulting in death by dehydration. Beneficial insects like Lady Bugs, bees, and lacewings are not typically affected by soap sprays. When the invading insects are beetles, the following recipe will help discourage them from burrowing into your tree. This recipe yields 1 gallon of solution. Step 1 – Add the cayenne, jalapeño peppers, and 1/2 gallon of water together in a pot. Step 2 – Bring the water to a boil and reduce to a simmer for 45 minutes. Step 3 – Allow time to cool before straining out all of the solids. 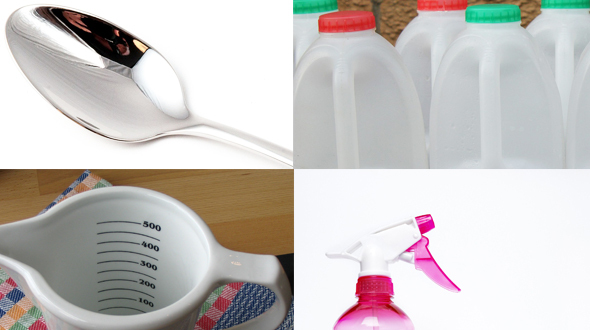 Step 4 – Add the strained solution to a 1-gallon jug, then complete the jug with water. Step 5 – Carefully pour the desired amount into a spray bottle. Keep the remainder (left in the jug) in a cool, dry place. (read below before use). When applying this “pepper” solution to trees or plants, it is strongly advised to wear protective gloves and eyewear. Once applied, reapplication is only necessary after rain. The recipes and application methods for the homemade insecticides above can be used on garden plants as well as trees. This easy to use alternative allows you to avoid using chemically produced and potentially hazardous pesticides. In this article, we’ve detailed two basic homemade insecticide recipes and several variations to help you combat infestations from beetles, soft-bodied insects, and hard-bodied insects. The benefit of using a homemade insecticide is that you can control pest issues while avoiding exposure to the harsh chemicals used in the production of industrial or commercial insecticides. Tree emergencies come in all shapes and sizes. Many times, there is an emergency situation brewing underneath the surface and goes unnoticed until it’s too late and catastrophic damage is done. Part of being a responsible and prepared property owner is learning to identify the warning signs of a tree emergency and how to take preemptive action. 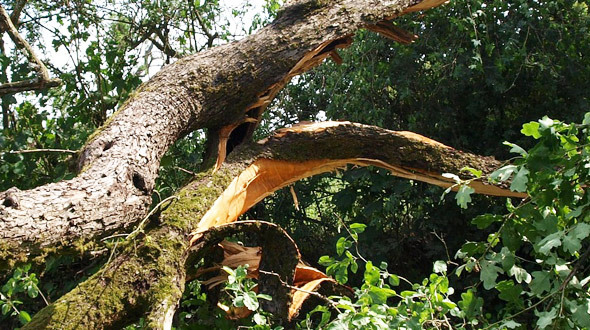 In this article, the professionals at toddsmariettatreeservices.com explain how to identify tree problems which constitute an emergency, and what proactive measures to take to avoid expensive damages and repairs. My Tree Is Leaning – When a tree suddenly leans, there is much to be concerned about. At the very least, the roots have lost their grip in the ground, and the weight of the tree is no longer balanced. Depending on the size (height) and age of the tree, corrective measures may solve the problem. 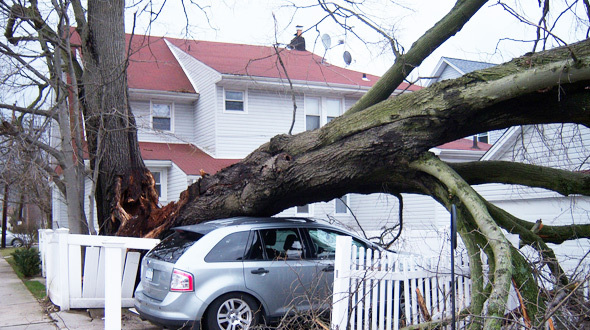 Taller and older trees will likely require emergency removal to avoid catastrophic property damage or loss. Action Required: Immediately contact a professional tree service to evaluate the tree and offer a solution. A Large Branch is Broken and Hanging – While this may seem like a simple problem to solve, it may be an indication of underlying health issues. 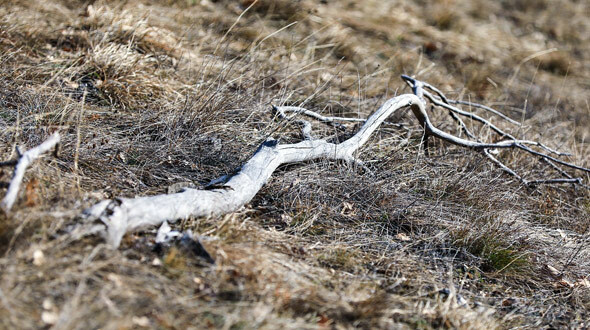 If your tree is located in an area that has been affected by prolonged periods of drought, the tree itself may be brittle, posing the threat of other falling branches. Many species of fungi are able to invade a tree and cause the slow deterioration of the heartwood. If this is the case, the tree may very well be dead and at risk of collapsing under its own weight. Trees grow based on symmetry and balance. If the branch in question is large enough or contains a significant portion of the crown, the stability of the tree may be compromised. In severe enough cases, emergency tree removal may be the only viable option. Action Required: DO NOT pull or tear the branch down – this may cause irreparable damage to the tree. Contact a reputable tree service to properly remove the branch and ensure that the tree is stable and in good health. Sections of Bark Are Missing – During severe storms, the wind may carry unsecured objects as projectiles and launch them into a tree trunk, damaging or stripping the bark away. Just below the bark is the xylem and phloem which transport water and nutrients throughout the tree. If large portions of the bark have been damaged or are missing, this may girdle (strangle) the tree. Action Required: This is a serious situation requiring immediate attention which the tree may not recover from. Call in an arborist to evaluate the tree’s condition and prescribe the necessary action. Learn about tree preparation for storms toddsmariettatreeservices.com/hurricane-planting-tips-trees-marietta-ga-landscape/. 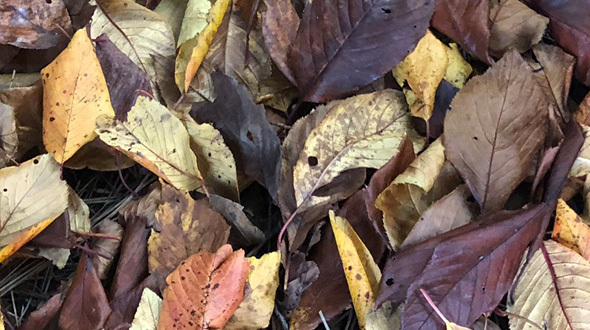 Wilted or Discolored Leaves – If the wilting or discoloration is in the entirety of the canopy, it could mean that the tree is suffering from drought or soil compaction. However, if the symptoms are confined to a section of the canopy with no physical bark / branch damage or beetle infestation, it is likely a tree disease. Mushrooms Growing on The Tree – This may be an intriguing visual, but it is a symptom of a grave issue within the tree. Mushrooms require rotting tissue for their growth. If you see mushrooms sprouting from your tree, you can assume that heart rot is the front-runner of potential culprits. Dieback – This symptom becomes evident when the extremities of a tree wilt and die, working its way to the center. Dieback occurs when a disease has infected the tree, or the environment has changed to unfavorable and damaging growth conditions. Insect Infestation – Trees in good health are typically able to resist insect infestations. That said, boring insects such as beetles may still be able to attack a healthy tree. 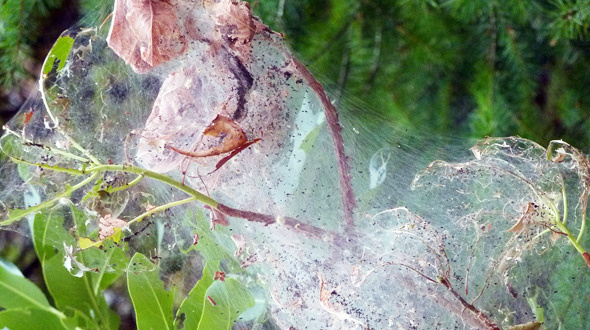 Look for webs in the tree, sooty mold on or under the leaves, leaves that have been eaten (chewed up), or entry holes and sawdust from burrowing insects. 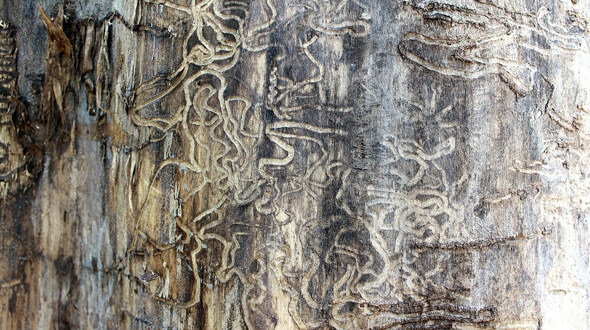 These are all signs that insects are using your tree to propagate their species. 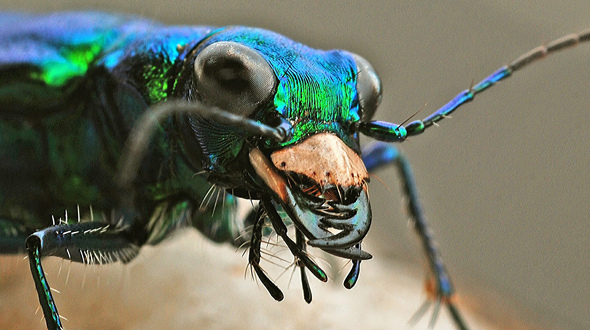 1 – Burrowing Insects – Seek immediate assistance from a tree service to determine the extent of the damage, to exterminate the insects (if possible) and to contain the infestation from spreading to other trees. 2 – Wilt, Dieback, and Mushrooms – These signs indicate serious health problems within the tree and require a professional approach to either bring the tree back to health or remove it to avoid spreading the problem to neighboring trees. 3 – Non-Burrowing Insects – Neem oil or a homemade insecticide (basic recipe below*) can be applied to the infected and surrounding areas of the tree to halt their activities. If this approach does not resolve the pest issue, or the tree is presenting other visual symptoms, call in an arborist or reputable tree service to evaluate the tree’s health. *Basic Insecticidal Soap Recipe – This recipe requires three ingredients: dish soap, vegetable oil, and water. Add 2.5Tbsp of dish soap and 2.5Tbsp of vegetable oil to 1 gallon of warm water and mix it well. Apply as needed. With the above knowledge, you will be aware of the signs of a troubled tree, the potential results of inaction, and the best course of action to take. 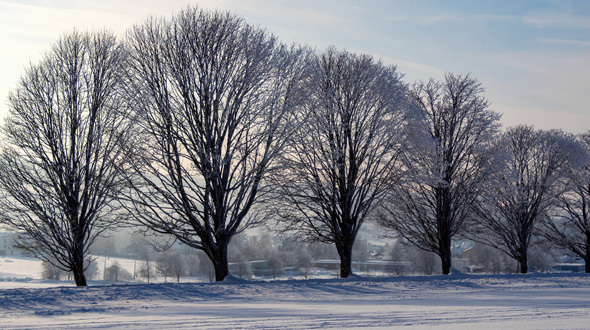 Take the time to examine your trees with a renewed perspective. Everything from insect infestations and invasive fungi to compacted soil, damaged roots, and severe weather events can cause the decline of your tree’s health. Identifying the warning signs and taking action is a crucial step toward its recovery or a required emergency removal. To help prevent tree health issues, schedule an annual inspection with a professional tree service, and keep proper pruning activities limited to late winter or early spring. Turning a blind eye to your tree’s declining health can result in the death of the tree. If that tree falls, your home, vehicle, and everyone within the fall radius is at risk of costly damages or severe injury. Beware, when a tree falls it does not choose where it is safe to land. Labels: Dieback, Emergency Tree Removal Marietta Ga, Insect Infestation, Tree Bark Damage, Tree Care, Tree Cutting Services Marietta Ga, Tree Pruning, Trees, Why Is My Tree Dying?, Why Is My Tree Leaning?